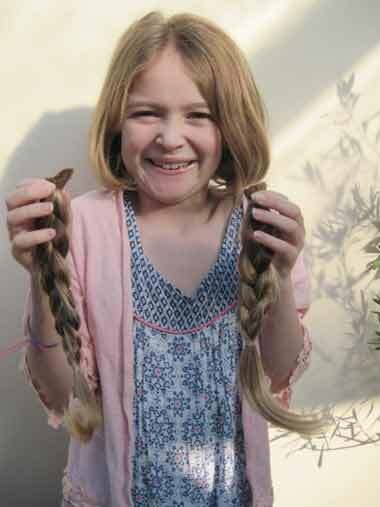 Inspired by her cousin in Nottingham and one of her mother’s friends, eight-year-old Niamh Bowers from Fordingbridge has sacrificed her long, golden tresses for the Little Princess Trust. The charity provides wigs for children with cancer to help them cope when they lose their hair and Niamh has donated all 9.5 inches of her plaited locks to the trust. The Fordingbridge Junior School pupil said, “I was nervous about having so much hair cut off, but my Aunty Nina is a hairdresser and this made it easier. Niamh has a JustGiving page and has raised over £500 for the Little Princess Trust following the haircut. “If anyone would like to help me raise more, a pound or so would be really lovely,” said Niamh.